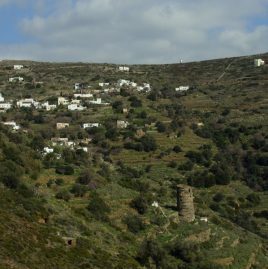 Andros has a rich network of hiking trails, in many cases, it is paved. This network connects settlements with each other, with places of worship and with the ports of the island. From the middle of the 20th century and when the car gradually dominates, it limits their use. The hiking trails on several occasions stop or replaced by roads. 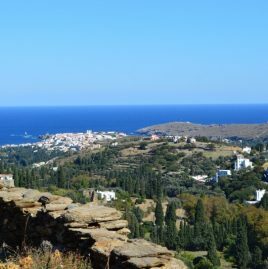 Andros still has a very extensive network of hiking trails that is estimated to be over 300 km in length. The accessible hiking trails network now stands at about 150 km. The routes are maintained – not always systematically – with care by the regional and local authorities, sometimes with the help of volunteers from around the world. The involvement of local voluntary organizations and associations is also important. 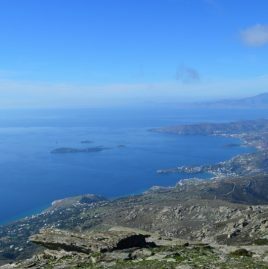 It is easy to understand why these two words: Hiking Trails and Andros are so much connected to the minds of the visitors. 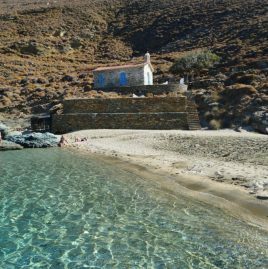 Andros is a special island of the Cyclades with plenty of water resources, mountain character, intense relief and extremely varied scenery. 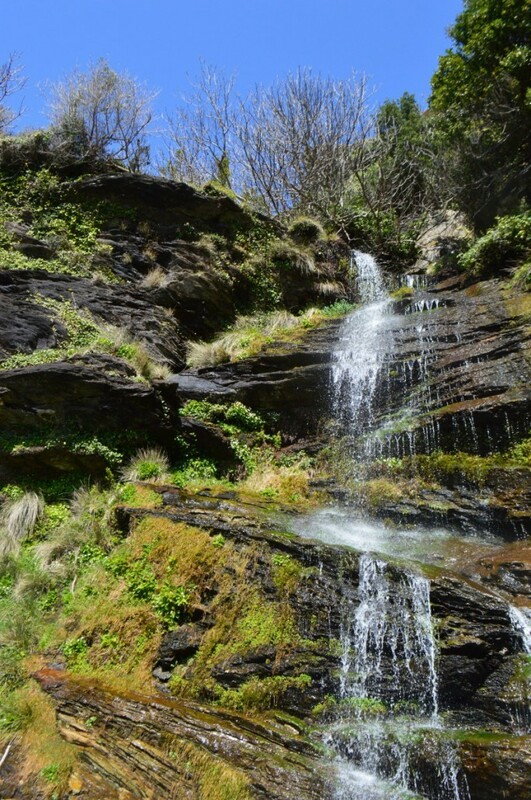 Small forests, fertile valleys, numerous beaches, streams, waterfalls and springs in almost every hillside and slope. 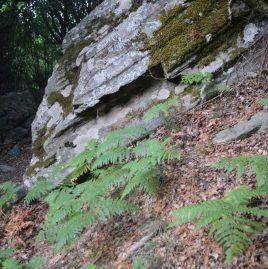 The continuous human presence left visible signs even on the most rugged slopes of the island, shaping the stone with a basic material, a landscape largely handmade. The variety of rural architecture is impressive, stone walls, land terraces, olive presses, threshing floors. 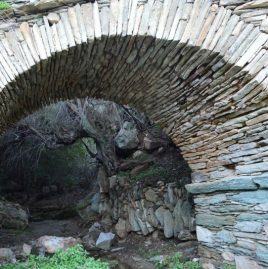 Over 200 recorded watermills, 69 windmills, several bridges some of them arched and hundreds of chapels, are scattered all over the island. 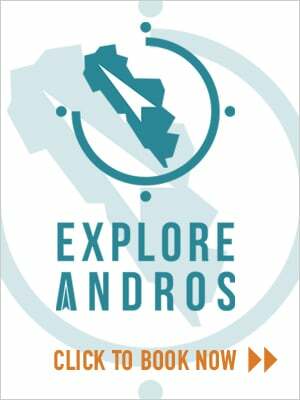 “Andros Routes” is an effort to combine research and action on the environment, culture and sustainable tourism in Andros. The main focus of action is to record, maintain and highlight the old hiking trails. Also recording oral history. The main objective is the involvement of local residents, researchers, visitors and tourism entrepreneurs in this effort. The whole project is based mainly on the voluntary work of researchers and members, as well as on the support of individuals and organizations. Hiking trail 1 Andros Island. Wonderful exploration route of the lush graphic settlements around Chora leading to the Panachrantou Monastery. Hiking trail 2 Andros Island. 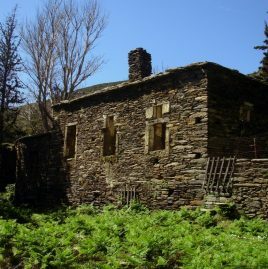 Characteristic route of Andros with lush vegetation and intense relief around Petalo Mountain. Hiking trail 5 Andros Island. A route with great landscape variations from the southwestern coastline to the southern hinterland, crossing the Rachis mountain range, which is important for its biodiversity. Hiking trail 6 Andros Island. 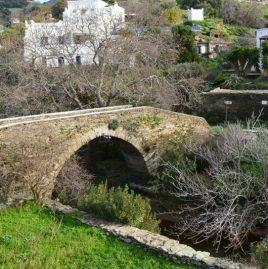 An impressive rural route extending alongside the largest river in Andros, Achla and its beach and its important wetland. Hiking trail 7 Andros Island. 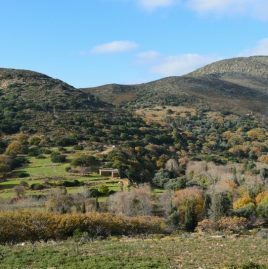 A short route to the archaeological site of Zagora (geometric period) and its natural fortress-plateau with the same name. Hiking trail 7 Andros Island. A route with great landscapes that combines the dry western coastline with the lush hinterland, thought the rich biodiversity. Hiking trail 8 Andros Island. 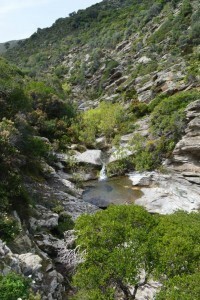 A lush trail, passing through important settlements of naval and rural Andros alongside the gorge of Pythara. Hiking trail 9 Andros Island. 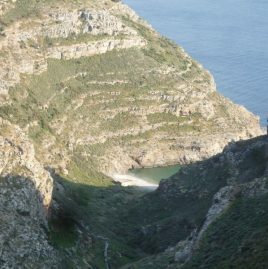 Part of the so-called “Fardia strata” or “Arvanitika Street”, one of the largest and most important routes of the island. 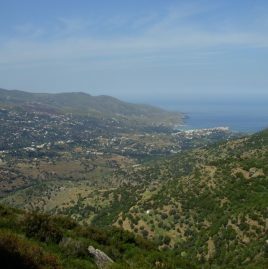 Hiking trail 9α Andros Island. 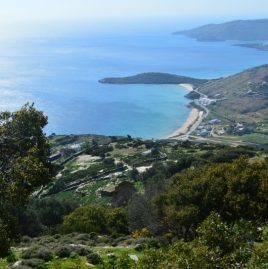 An amazing cyclical exploration route of the important archaeological site of Paleopolis, which was the old capital of Andros for a millennium. Hiking trail 10 Andros Island. 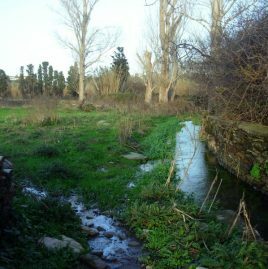 A beautiful and relatively short path from the village with mills of Strapourgies to the forest and the Evrousies river ravine. Hiking trail 11 Andros Island. Beautiful trail from the tourist coastline to the rural hinterland. Landscapes, rural monuments and intense relief. Hiking trail 12 Andros Island. 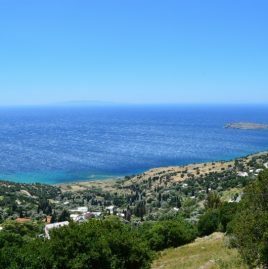 One of the most impressive routes of Andros from the mountainous village of Vourkotis to the highest peak, Kouvara, and the green valley of Arni. Hiking trail 13 Andros Island. A mainly rural route from the hinterland to the northeast coast alongside the Arni River. Hiking trail 15 Andros Island. 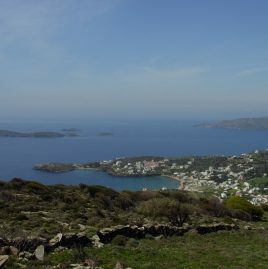 A route from the port of Gavrio to the beautiful settlement of Ano Agios Petros and the long beach of Kato Agios Petros. Hiking trail 16 Andros Island. 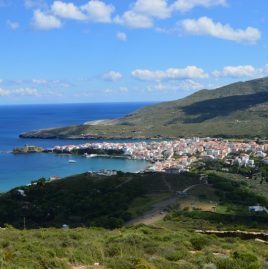 A trail with wonderful view to the western coastline from the picturesque settlement of Ano Agios Petros, to the tourist settlement of Batsi. Hiking trail 17 Andros Island. 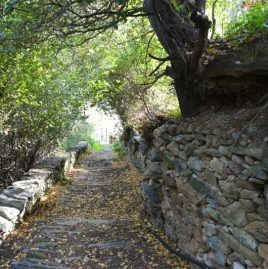 A beautiful walk alongside the Megalo Potamos (Big River) in the heart of the fertile valley of Livadia, surrounded by orchards, clusters of cypress trees and tall stone walls. 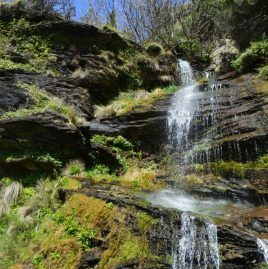 The beautiful views of the Mesaria valley, the gorges and the forest clusters, the picturesque settlements of Vrachno, Falikon, Aladino, Cave “Foros” and the arched bridge of Aladinos.